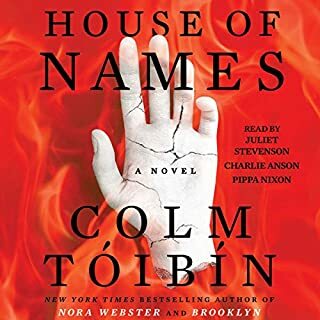 One of my favorite books in a long time. While its timeframe is often addressed, I've not read/heard a report such as this before. 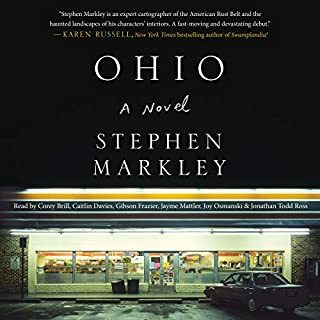 The writer and the readers bring each character to life and well as his/her relationship to the politics and human condition and circumstance they inhabit--in a relatively small town in the Midwest. If you're too removed from the crises of life that affect so many of us, this will wake you up. Can't recommend it enough. I'm going to see what else Markley has to offer. 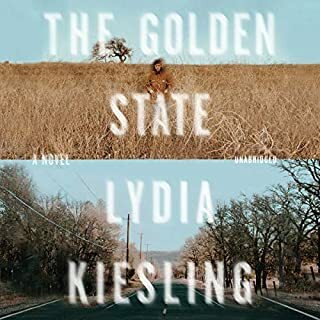 In Lydia Kiesling's razor-sharp debut novel, The Golden State, we accompany Daphne, a young mother on the edge of a breakdown, as she flees her sensible but strained life in San Francisco for the high desert of Altavista with her toddler Honey. Bucking under the weight of being a single parent - her Turkish husband is unable to return to the United States because of a "processing error" - Daphne takes refuge in a mobile home left to her by her grandparents in hopes that the quiet will bring clarity. OMG. I just finished Meg Wolitzer's The Feminine Persuasion and listening to Unsheltered and my reaction to both is the same. These women have disappeared into preachy messages that we've all learned long ago. I really believe that both books are suitable for 5th graders. They might have excited me when I was ten. I'd even be surprised if book clubs could make something of this effort. 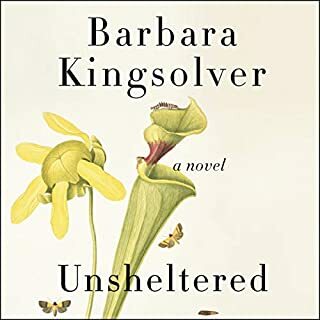 And I can't imagine why the recording company let Kingsolver read her own book though I'm not sure that a more talented reader could have made much of this pathetic story. Still, I was so embarrassed for her as she read sometimes--it took the focus away from the book. 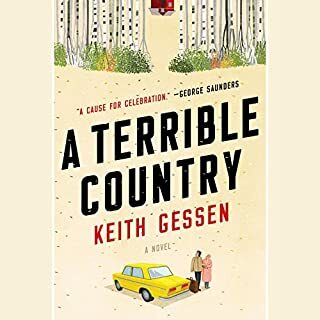 Gessen is a smart guy and Ari Fliakos one of my favorite readers but this book could not get off the ground. The protagonist was a whiny, whiny guy who, despite his academic achievements, seemed clueless about how life works. A sorry portrait of some academicians who expect to be funded and granted and fellowshipped forever with no apparent exchange of equivalent value. Josie and her children's father have split up, she's been sued by a former patient and lost her dental practice, and she's grieving the death of a young man senselessly killed. When her ex asks to take the children to meet his new fiancée's family, Josie makes a run for it, figuring Alaska is about as far as she can get without a passport. Josie and her kids, Paul and Ana, rent a rattling old RV named the Chateau, and at first their trip feels like a vacation. 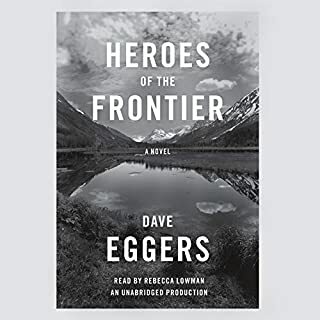 To the extent that I was able to get that this is a comedy and to the extent that I could amuse myself by comparing Josie, Paul and Ana to, say, Lewis and Clark, I enjoyed it. And the performance was extraordinary. However, I never had an ounce of like for Josie and could barely tolerate one more minute of her hairbrained and narcissistic schemes. Moreover, though she would consistently make 25 terrible decisions in a row, in the next moment, she'd know in her bones exactly the right thing to do. Absolutely self-deceived, a risk-to-life-and-limb threat to self and children and, as I said, unlikable, I wouldn't follow her anywhere. The Hallelujah quality of the ending was also amusing--Josie was always winding herself up for heaps of self-appreciation. No. I was thrilled to be in Bulgaria but the goose chases and the explanations for them were ridiculous. 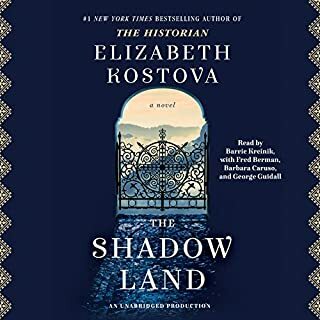 I like Kostova and speaking in some of the voices the narrator was wonderful. But the old ladies were impossible to listen to and the main character was absolutely unlikable--more Kostova's fault than Kreinik's. I actually felt jerked around, a sucker for listening so long. Did Barrie Kreinik do a good job differentiating all the characters? How? I think Kreinik did a great job. However, the voices chosen for the old ladies were so shrill and cackling. I had to read those parts. Could you see The Shadow Land being made into a movie or a TV series? Who should the stars be? If you could sum up I, The Divine in three words, what would they be? 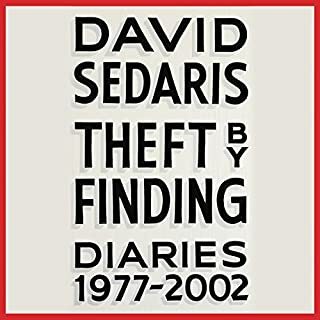 I can't believe I waited more than a year to listen to I, the Divine, after listening to An Unnecessary Woman which was, in my opinion, informative and poignant and is now one of my favorite books, ever. Kudos to Alameddine and Marno. 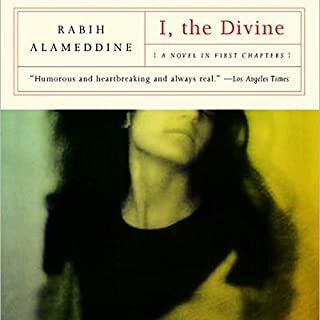 What other book might you compare I, The Divine to and why? Strangely enough, this books reminds me of Miriam Toews' All My Puny Sorrows. Both have very appealing protagonists whose every word seems honest. 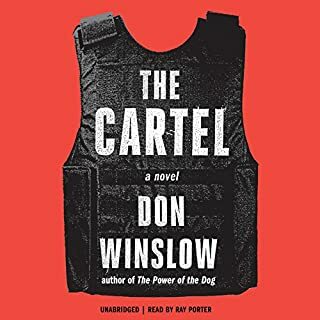 Don't miss this book. Don't miss An Unnecessary Woman. Don't miss Miriam Toews' All My Puny Sorrow.